Nine 4″ aluminum full width tapered crossbars on 8″ centerlines provide optimized strength for coil haul shotgun configurations. 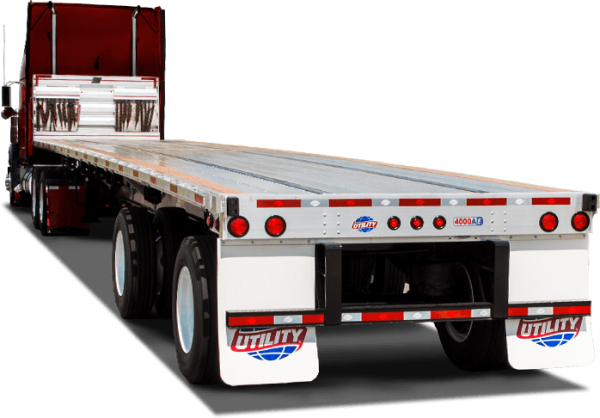 Lighter than the other members of Utility’s flatbed family, there is no compromise on quality and strength. 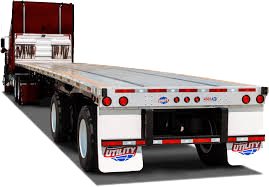 The 4000AE strikes the right balance between steel and aluminum to provide the strength and durability of an all-steel trailer and the low weight of an all-aluminum trailer. Exterior main beams are shot blasted with a two-part primer and two-part urethane top coat prior to painting; while the interior beams are painted with a rust preventative coating for lower maintenance cost. The aluminum tube leg bracing replaces steel angle, reducing weight without compromising strength.